As a dietary supplement, adults take 1 tablet daily, or as directed by your healthcare professional. Allow tablet to dissolve in mouth and then swallow. There are two distinct mechanisms for intestinal vitamin B12 absorption; receptor-mediated absorption and passive diffusion. In the first, vitamin B12 attaches to a salivary “R-binder” protein which transports it into the small intestine, where vitamin B12 is released. 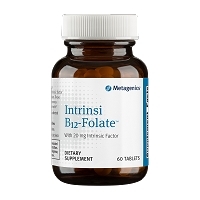 The vitamin then binds to “Intrinsic Factor” (IF), a glycoprotein normally produced by the gastric parietal cells. This vitamin B12-IF complex is carried down to the ileum, where it binds to mucosal receptors. Finally, the complex is absorbed and bound to serum vitamin B12-binding proteins. The second absorption mechanism, passive diffusion, does not require any carriers, such as B-binder or IF. The elderly and strict vegetarians are often at risk for vitamin B12 deficiency, either due to low dietary intake or impaired absorption. The receptor-mediated absorption pathway is subject to numerous genetic and pathologic defects which can severely impair normal vitamin B12 absorption. These defects include hereditary absence of IF production, gastric atrophy, gastrectomy, and small intestinal disorders affecting the ileum. Affected individuals depend almost exclusively on the passive diffusion pathway or by dissolving tablets in the mouth. 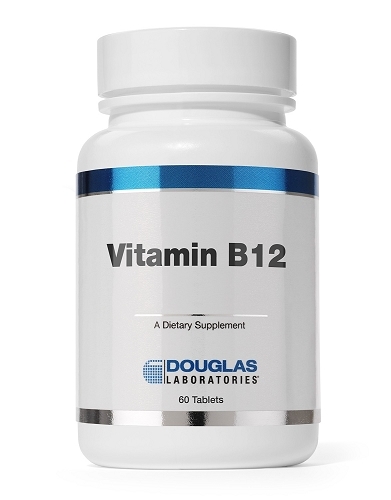 Vitamin B-12 tablets are indicated for individuals that desire higher intakes of the nutrient B-12 in a dissolvable tablet. Lea R, et al. Pharmacogenet Genomics. 2009 Jun;19(6):422-8. Kräutler B. Subcell Biochem. 2012;56:323-46. doi: 10.1007/978-94-007-2199-9_17. Boushey CJ, Beresford SAA, Omenn GS, Motulsky AG. JAMA 1995;274:1049-1057. Curtis D, Sparrow R, Brennan L, Van Der Weyden MB. Eur J Haematol 1994;52:227-232. Ehrenpreis ED, Carlson SJ, Boorstein HL, Craig RM. Dig Dis Sci 1994;39:2159-2162. Flynn MA, Irvin W, Krause G. J Am Coll Nutr 1994;13:351-356. Herzlich BC, Schiano TD. J Intern Med 1993;233:495-497. Herzlich BC, Schiano TD, Moussa Z, et al. Am J Gastroenterol 1992;87:1781-1788.